Computer Museum is the only museum dedicated wholly to computers and the technological change that they bought. 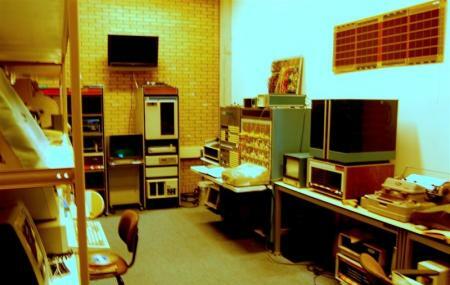 The Museum was established in the year 1991 in the University of Amsterdam and is run by a group of computer enthusiasts. The whole place is led by the retired academic Edo H. Dooijers and is a great educational experience for all. The whole destination shows how the computers first came to be and how they are now. Don’t forget to make an appointment. The museum can only be visited by appointment. Take a bus from Amsterdam, Science Park Aqua or Amsterdam, Science Park A'dam. How popular is Computer Museum? People normally club together Schietvereniging Baarn & Omstreken and Dappermarkt while planning their visit to Computer Museum.